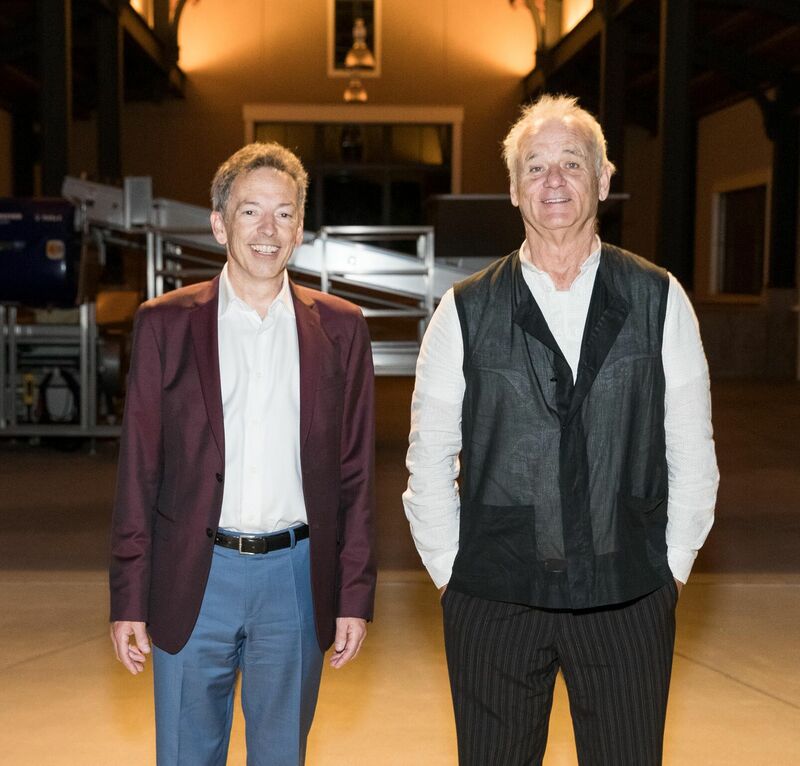 In 2005, San Francisco attorney and arts manager, Richard Walker, along with his friend IMG Artists Chairman, Barrett Wissman, founded what is known today as Festival Napa Valley. The idea was born from The Tuscan Sun Festival in Cortona, Italy. 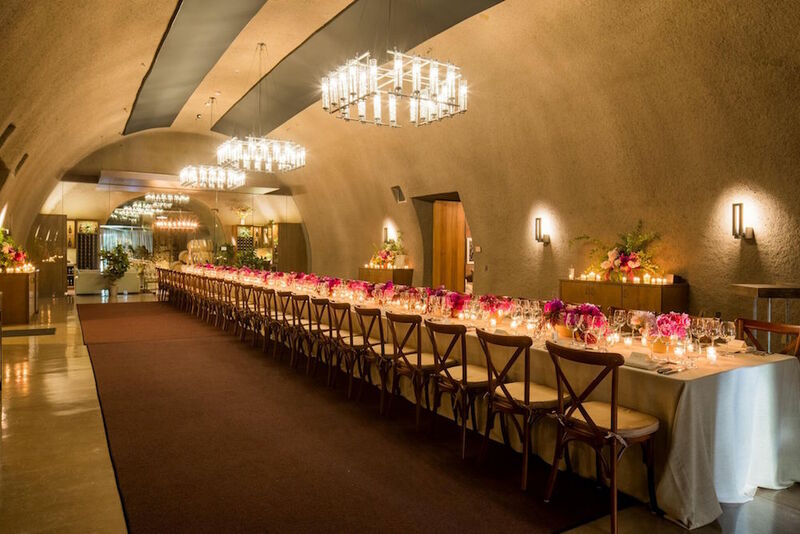 They wanted to transport the same intimacy and passion for arts, entertainment, wine, and fine cuisine to Napa Valley. One of the first performers they invited to participate was the famed vocalist Renee Fleming. Most know Fleming for her incredible voice on the Oscar-winning soundtrack of The Shape of Water. Through the years, she has been a celebrated soprano and a dear friend of Maria Manetti Shrem. Manetti Shrem received a call from Fleming one day in December 2005, and Fleming asked her about this fledgling festival that Walker and Wissman were planning on producing the following summer. Manetti Shrem hadn’t heard about it, so Fleming asked her to reach out to Walker and Wissman and find out more details before Fleming would commit to this unknown festival in a little-known part of the world. Manetti Shrem did reach out and invited the two gentlemen to her home in Napa Valley to discuss the details. When the men spoke to Manetti Shrem about the level of artists that they planned on bringing to Napa from IMG, she was quite impressed and said she would give her support and involvement to the festival. Manetti Shrem shared with Walker and Wissman that her and Margrit Mondavi talked about creating a celebration of the arts in Napa Valley for years, so Manetti Shrem was excited to be included as a founding benefactor. 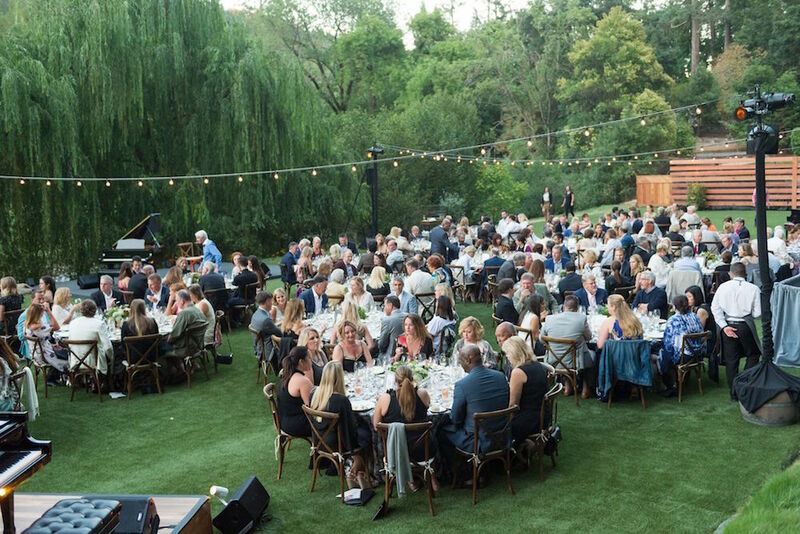 Along with her husband, Jan Shrem, Manetti Shrem volunteered to raise money by hosting intimate dinners at her home and personally asking each of her friends to donate. She shared with passion the magnitude and splendor that was planned for the festival. And, indeed each year Manetti Shrem picks up the phone and calls her friends, and each year the festival grows. The festival is celebrating its thirteenth anniversary, along with the programs that run continuously throughout the year. For the Shrems, Festival Napa Valley is a beautiful representation of what they both love: art, wine, culture, and education. 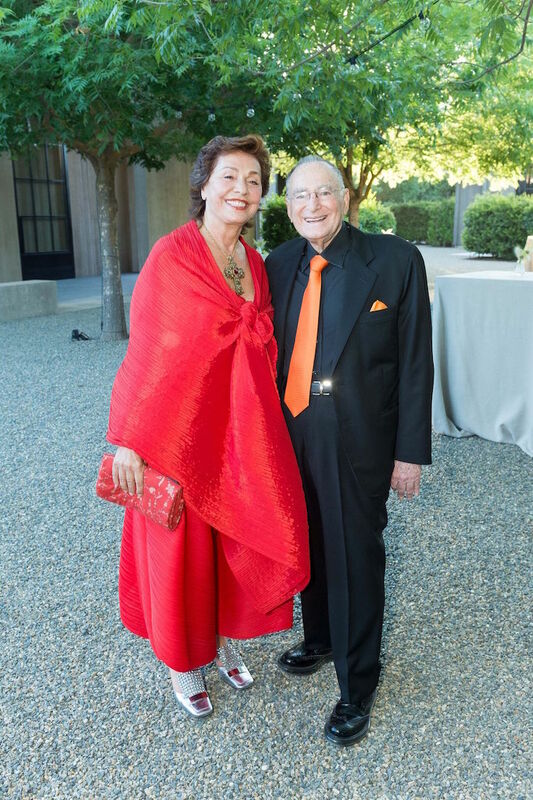 Together, they built the Jan Shrem and Maria Shrem Manetti Shrem Museum of Art at UC Davis, which is a lasting testament to their love of the arts and education. And, with great love, they sponsor the popular Jan Shrem And Maria Manetti Shrem Vocal Arts Series during the festival. “My husband and I both believe that we should give with warm hands, not with cold hands when we are dead,” Manetti Shrem says. Both Manetti Shrem and her husband come from very humble beginnings, and that is one of the reasons that they are so committed to the success of Festival Napa Valley. She came to the United States from Italy for love when she was 30 years and built an empire importing the Gucci brand to department stores around the nation. She sold her company and years later she met her husband, Jan Shrem. Shrem came to America when he was 16 and started selling encyclopedias door to door. He built a multi-national publishing company in Japan and sold it, spent years in Europe and then built Clos Pegase Winery in Calistoga. Both are hard workers and dedicated to the arts. Along with giving to Festival Napa Valley, they are big supporters of California Pacific Medical Center, KQED, the San Francisco Symphony, and Michael Fabiano’s educational charity ArtSmart. 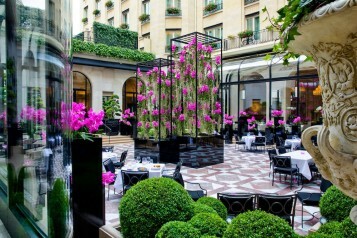 Their philanthropy spans time zones with giving to 10 charities in Europe, 20 in the United States. One of the organizations she supports is the Prince of Wales’s Charitable Foundation, and Prince Charles has asked her to speak at Buckingham Palace this summer. Manetti Shrem has a deep admiration and appreciation for those who work hard and are enthusiastic. And, that respect is witnessed with her unshakable commitment to the Festival. Walker and Wissman had this crazy idea of bringing world-class talent—like the Russian National Orchestra, Whoopi Goldberg, Robert Redford, and Sophia Loren—to a small plot of land only known for winemaking. Thirteen years later, this festival has become a force for fundraising and star power. 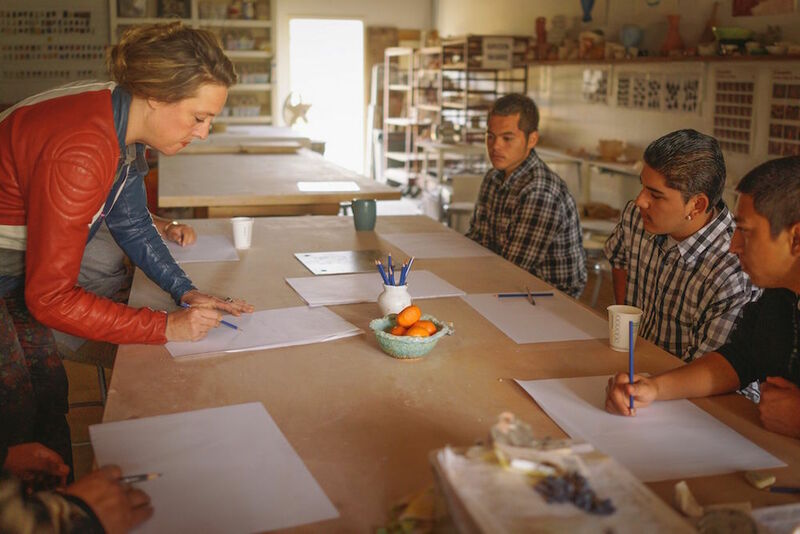 Part of what Walker and his team are doing is making Napa a more vital place to live and raise children who care about the arts and education. They fund 22 free community chamber concerts, programs for the Boys and Girls Club, veterans, and elderly throughout the year. This festival is the largest private funder of arts education in Napa. Walker is making Napa a model city of how the rest of the country can utilize this blueprint for their community. Athena Blackburn and her husband, festival board chairman Timothy Blackburn, founded the Blackburn Music Academy last year, which provides tuition-free immersive training and performance experience for 80 emerging pre-professional musicians from around the world. Academy participants are given complimentary lodging during the Festival through the generosity of local host families. Guest artists and coaches for 2018 include and principal musicians from the Russian National Orchestra, MET Opera Orchestra, and other leading ensembles. 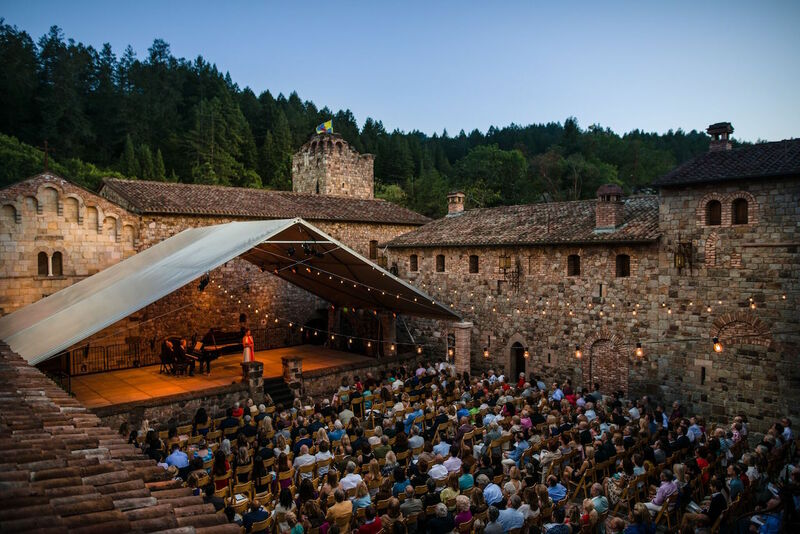 This festival is about the heart and soul of Napa Valley. After the fires, the festival hosted a free concert. It was a gift for the community and a tribute to the first responders. The first responders are the honorees at this year’s festival. One of the exciting performances that is creating buzz is the exclusive engagement direct from Havana Grupo Compay Segundo at the Trefethen Family Vineyards 50th anniversary celebration on Saturday, July 21. Camille Creek Community School is a school for students who have been expelled, have behavior problems, and don’t do well in traditional classroom situations. The school’s mission is to empower Napa’s most disenfranchised youth through therapeutic relationships, targeted instruction, and inspiring opportunities for growth. Their goals are to help students gain the social and academic skills needed for employment or further education. Focus on interpersonal skills to maintain positive and meaningful relationships is also a priority. 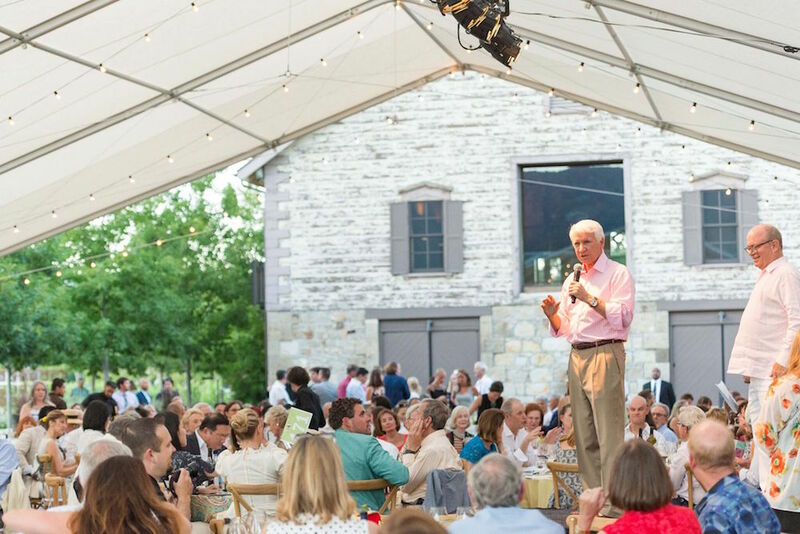 One of the ways that they have been able to support their mission is through the generous financial commitment from the Festival Napa Valley. First, the festival gave the school money to refurbish their “accessory room” into “the refocus room.” Many students have poor self-regulation, can’t calm down, or regain control to get back to class. So, the faculty created a sensory room where the students are encouraged to regroup and calm down when tensions and emotions get heightened. The room has cozy chairs where the kids can isolate and tables for clay work or artwork. It is not a disciplinary place; it is a destination where students can unwind. The next project that the festival contributed to was the Nimbus Arts program. It is a five-week program where students are learning and creating for three hours a week. 50% of the funding has come from Festival Napa Valley. “This is the most engaging program we offer to our children. Nimbus Arts is an escape from their current realities. They’re able to get away from the chaos of their everyday lives,” says Caroline Wilson the director of Juvenile Court and Community Schools. “With Nimbus Arts, they focus on the moment and are engaged. They have never been engaged in anything like this. These students don’t succeed in the normal classrooms. Their bad behavior is down 90%, and most don’t miss school. Most have problems with attendance but not when they are going to a Nimbus-class,” Wilson continues. Thanks to Festival Napa Valley, these students have found freedom and creativity through clay work, painting, hand sculpting, and drawing. One of the most memorable moments for the students was when the festival brought the famous singer Wé McDonald to perform for them and talk about growing up and following their dreams. Together the founders, benefactors, and beneficiaries unite in a common goal of elevating life through the arts and entertainment in beautifully orchestrated experiences. Creating and celebrating dreams has been a profound outcome of the work Festival Napa Valley has accomplished. 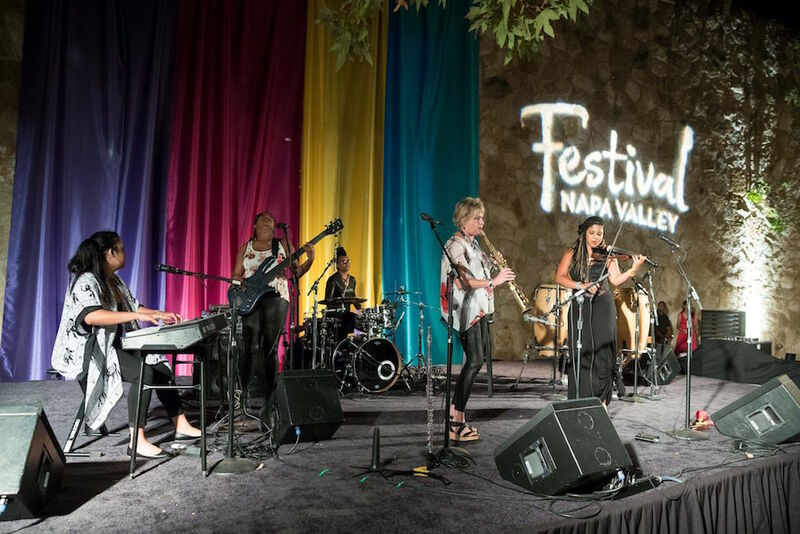 This year, the Festival Napa Valley invites the public to become enthusiastically engaged with the melodic beauty that fills the valley from July 20-29, 2018.